Mermaid Moment... with nail polish. As a former, down-to-the-quick nail bitter, I can say that nail polish has transformed my hands and assisted me in keeping my nubbins out of my mouth... for the most part. Old habits resurrect themselves from time to time. Painting my nails calms me and allows my brain to turn off for about 10 minutes and focus on the task at hand. These are the colors that bring out my inner mermaid: (L to R) Orly Halley's Comet, Deborah Lippmann Mermaid's Dream, Rescue Beauty Lounge Aqua Lily, OPI Mermaid's Tears. The Orly applies on the thin side, I need about 2-3 coats. It dries in a decent amount of time with bright golden green flecks in a deep teal base. Mermaid's Dream is easily in my top 3 polishes. What appears to be a solid color is made up of tiny and micro tiny glitters in a sheer pearlescent mint green base. The glitters range from deep aqua blue, gold, lime green, and holographic. There is even the slightest duochrome effect in certain lighting that brings out this neat mystic purple-blue on the edges. Think formula, 3 coats for full coverage, quick drying. Aqua Lily is a thick, 2 coat polish with average dry time. The turquiose color has a pale fuschia sheen to it that leans pale pink to purple depending on the light. Unique shade that I find flattering. 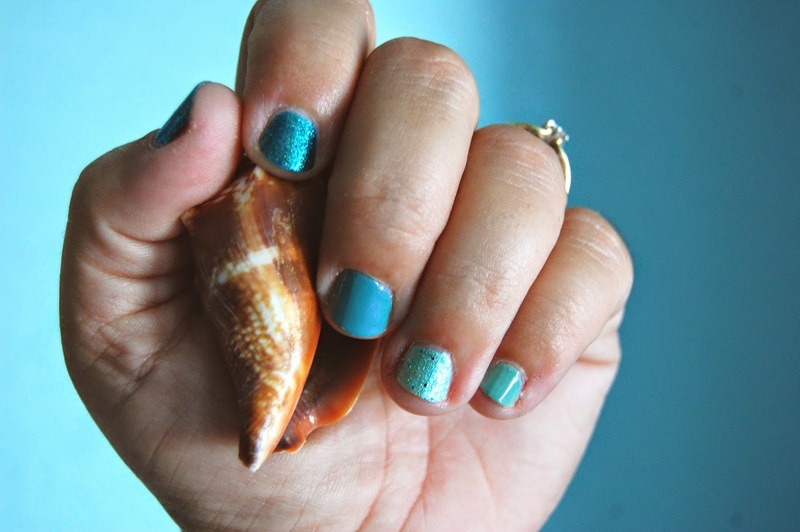 Mermaid's Tears is a lovely deep mint green that applies evenly with 2 coats and average dry time. OPI's Pirate of the Caribbean line was stellar. I loved all the colors and will probably showcase them at some point. I have managed to collect most of them over time. 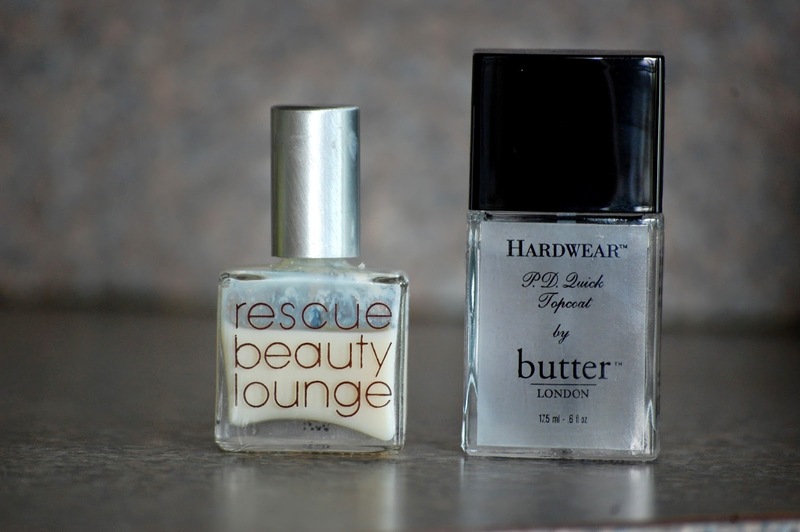 While having nail chat; here are the base coat and top coat I have been using. RBL's base coat is great. It fills ridges and even looks nice on its own. Butter London's PD Quick Topcoat dries fast with no shrinkage and a glossy finish. Happy with both at the moment. What are your favorite summer polish colors? Do you have a brand you love? Favorite top coat? Sea you later! Hi Michelle! I love the blues too. What are your favorite blues? 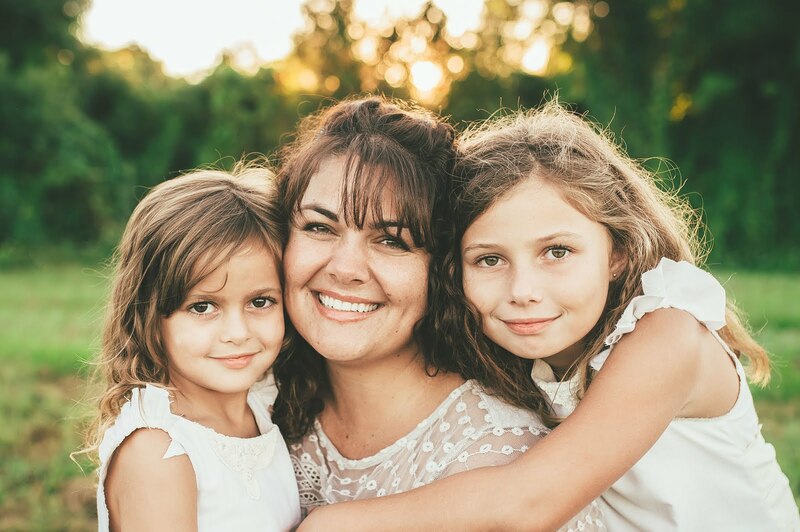 Top 3! :-D Sea ya later! \outl0\strokewidth0 \strokec2 Magic, I think I need to check that one out. I only have one Chanel, Malice. Skull & Glossbones is one if my favorite polishes. I love the whole Pirate line OPI did. Such gorgeous cremes. Sorry about all that weird coding stuff. The mountains. I blame iron them. Mermaid's Dream is an amazing color! WOW, so pretty, I will have to get my hands on that! Lovely polish picks, thanks for showing us your top and base coats, it's always nice to know what tops and bases people like using! Me too Carmen!! I have a lil stash going. Nothing like Helmets full but a decent amount :-) I am wanting to try more Zoya so I will check it out. Thanks!! !